Another fabulous evening on the beach courtesy of Alice, and John Jackman who spent days collecting all of the trees. The fire potatoes will be back next year. 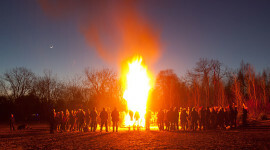 A few images from the Spring Equinox bonfire of 2015, another lovely night on the beach. 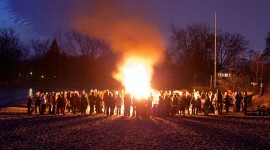 A huge crowd assembles on Ward’s beach for the annual Equinox bonfire. Thanks for the potatoes, Alice! 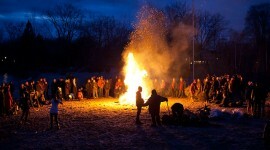 The spring equinox bonfire ushers in the season in fine style — thanks Alice! Shifty winds kept the flames low from most of the trees, only a few came close to equaling the height of some previous years. Still, you can’t beat curling your toes in warm sand after a long cold winter. 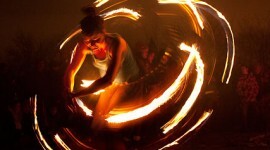 Ariel braves the shifting flames of the 2011 equinox bonfire, hooping to the Arythmic’s beats. 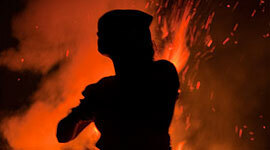 Shifty winds grab the equinox bonfire, making this a more difficult-than-usual evening for the fire performers. 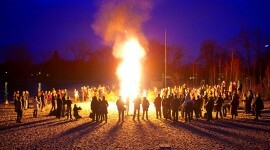 Spring equinox, and the humans come out to perform their annual rituals on Ward’s Beach. 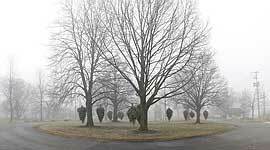 Oddly, the trees had a different burning pattern this year: their thermal columns were much shorter. 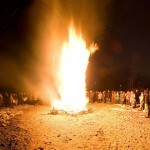 Compare to this tree at last year’s equinox bonfire (thanks Alice!). 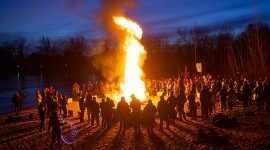 A 180° panorama of a well-aged Christmas tree going up in 30-foot flames during the annual Spring Equinox bonfire on Ward’s Beach. It’s astounding how much potential energy is stored in a small tree after drying out for three months. 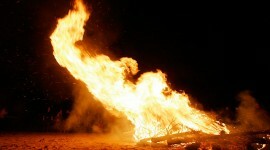 A Christmas tree goes nuclear at the annual beach bonfire (thanks Alice!) 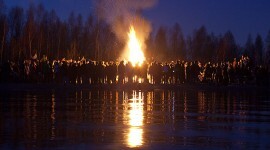 celebrating the Spring Equinox. There’s a lot of potential energy stored in a Christmas tree, especially after drying out for three months. Don’t try this at home, kids.